Modern times, modern formats: self-editing, e-books, you know the list. I’m jumping on. 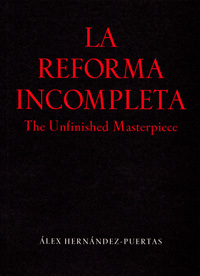 My play “The Unfinished Masterpiece” is now available through Amazon on Kindle format. Depending on your location, you’ll be able to download it from the American ($3.47), German (€2.38) or British sites. And if you don’t have a Kindle, remember that you can download a free app to read Kindle books on any other platform (PC, Mac, Android, iPhone, iPad…). Posted by Álex Hernández on Sunday, May 8, 2011, at 0:28 am. Filed under Plays Tags:	current events, self-promotion, UnfinishedMasterpiece Follow any responses to this post with its comments RSS feed. You can post a comment.